The challenge at CASology this week is closing very very soon, and I wasn't going to play along because I couldn't find any suitable stamps. I've no spacemen, spaceships, rockets, monsters - but then I found this space dog lurking in a stamp set. 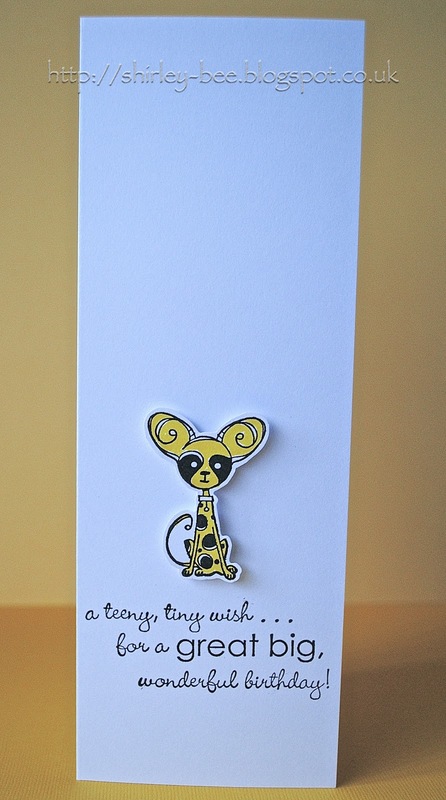 I like how he's a teeny tiny dog on a great big card. 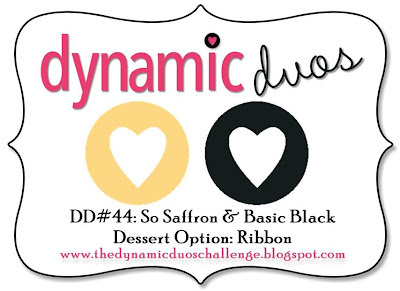 The colour challenge at Dynamic Duos is black and yellow. Perfect for a space dog. LOVE IT! (without being insulting to your dog, I might have taken a cue from Bowie and called this "Space Oddity" lol! And I'm still waiting for the "Space Cowboy" entry!) Thanks so much for playing along with us at CASology this week! Fab!! Couldn't be more perfect Shirley! LOL! Love that goofy lookin' space dog! Thanks for playing along with CASology this week! A space dog, that's awesome!!! I love how he pops off of the white! Thanks for playing along with us at CASology! 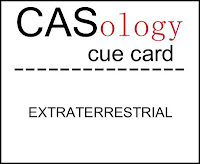 What a clever take on the cue card. Love it! So glad you joined in on the fun at CASology this week! He is adorable. I love the CAS feel of this tall card. Thanks for playing with the Dynamic Duos. Oh so cute! Such a great focal point for your CAS card! Thanks for playing along with Dynamic Duos this week!